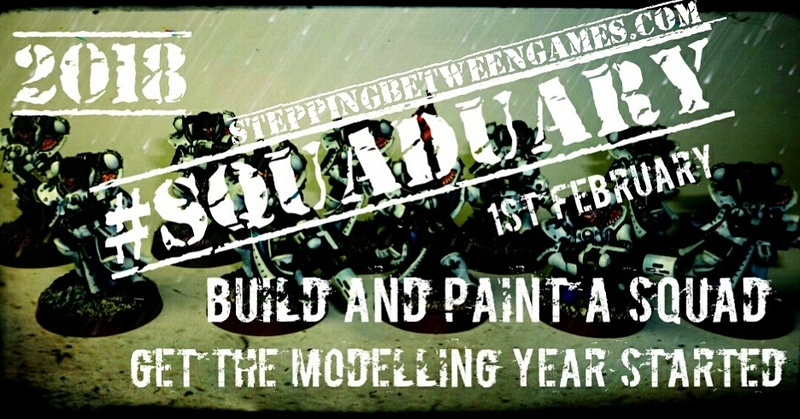 Build and paint a full squad, or more, during the month of February. That is it. It can be from any game system you like. As extras you can take photos each week and post along with everyone else. Every Thursday I will try to gather up as much progress as possible from around the net. From Twitter, Instagram and my fellow bloggers. Previously we have laid out some stages as a guidline, I will repeat them below in case they help. If you want a quick look back at last years event the post is here. We are looking forward to seeing what comes out of the event this year. Lets see if we can break last years record of models.